The ultraviolet technique has found a wide application in the field of decontamination and oxidation of organic substances. Ultraviolet rays eliminate all bacteria, viruses, molds and their spores. The quartz tube is filled with an inert gas that provides an initial discharge and means to excite the very small amount of mercury contained inside the tube. In an excited state, mercury emits radiation with a specific spectrum. UV radiation, produced with bactericidal amalgam lamps immersed in water, is the most effective form of disinfection. Bacteria, viruses and protozoa floating in the water have no chance of survival, when this solution is applied. An optimally selected radiation dose does not leave any dangerous intermediates (as happens in other solutions). It is also important that disinfection with UV rays is completely safe and user-friendly, as there is no need for hazardous chemicals. Stations disinfecting the medium with a mixture of oxidants produced in our device. The disinfection system consists of: an electrolyzer, a water softener, a brine tank, a tank for a mixture of oxidants and dosing pumps. The effect of work of these devices is the production of brine (NaCl solution) and oxidizing mixture, as a result of the electrolysis process. The basic components of this mixture are: chlorine, directly transferred to the Cl / OCl- solution, ClO2 chlorine dioxide and O3 ozone. The oxidizing mixture neutralizes the bacteria and viruses contained in the water. The use of this technology is a result of efforts aiming to minimize both technical problems and threats resulting from the use of chlorine and sodium hypochlorite in the process of water treatment. 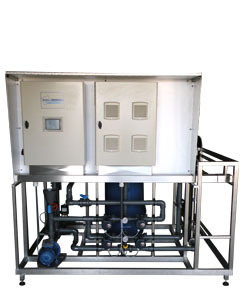 Basic advantages of electrolytic production of water disinfection agent include: elimination of hazards for personnel during transport and equipment operation (disinfectant is produced on site, its use does not require specialized service, rescue groups or personal protection equipment), the ability to start and stop production of the disinfectant at any time, significantly reduces equipment corrosion-related problems and the necessity of periodic repairs. 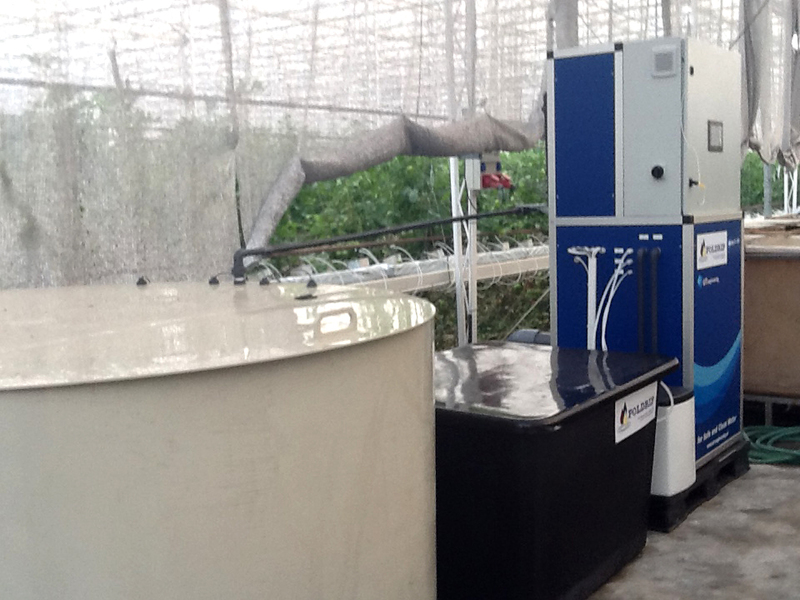 Another advantage is the simple, automated and safe operation of electrolyzers.